If you are a web developer, you know how important it is to have the right set of tools for the job. Here are 5 awesome tools for developers that help make web development a breeze. 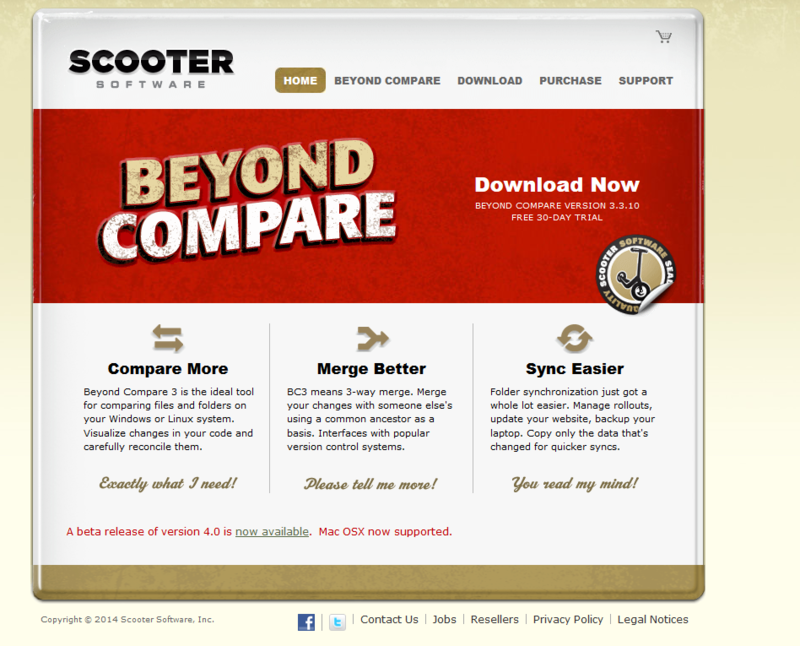 BeyondCompare is a powerful tool that allows you to compare your files and directories. You can compare files side by side with differences highlighted. This product also includes some file management capabilities like simple file editing and deleting files. If you work offline to do some of your web development, this tool will come in very handy in comparing the local and remote versions of pages. This product also works really nicely with WebDrive. You can map a network drive to your webserver and easily do side-by-side comparison. It allows you to compare and transfer changed files on you PC with files on FTP, SFTP and WebDAV servers in a transparent and secure way. While the interface is a bit complex, the help files included with the product are pretty comprehensive. There is a free 30-day trial available at http://scootersoftware.com/download.php and pricing starts at $30 for a standard, single user, single platform license. WebDrive maps a network drive to a web server. This tool is perfect for multiple site management, allowing you to map a different drive letter to each site. It also makes it easy to edit and save changes without having to use a traditional FTP program and perform constant manual uploads. If you manage multiple sites, this is a tool you cannot live without. There is a free 10-day trial available at https://webdrive.com/download/ and a single-seat license can be purchased for $39.95. Pixlr Online Image Editor is a photo editing program that is a great alternative if Photoshop proves too daunting. Though the interface is similar to Photoshop’s–so similar, in fact, that it’s hard to believe that it is free– it is a bit easier to get the hang of. Pixlr is a web-based tool, but it is extremely feature-rich and allows for many different effects and editing tools.Visit http://pixlr.com and get started using this free tool. 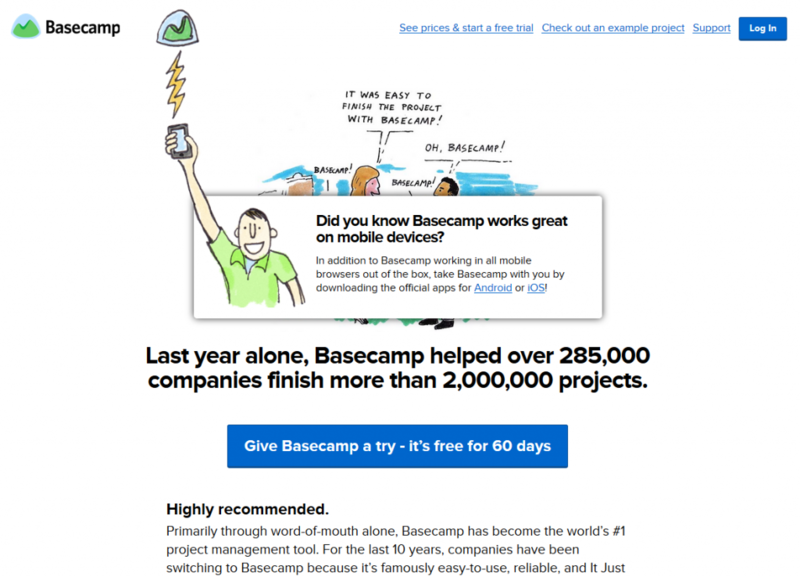 Basecamp is one of the best project management tools available. It allows for “team management,” meaning everyone collaborating on a project can stay on task because of its plethora of useful features: message boards, milestones, due dates, file sharing, and many, many more. Project management software like this is essential when multiple people are touching the same project. Basecamp starts at $20 a month, or you can purchase an annual package for $3,000. Free 60-day trials are also available at https://basecamp.com/start, as this pricetag is a bit steep for some. Fontello is a free tool that provides all the icons you could ever need. The icons are formatted as fonts (vectors), so you don’t get blurring and pixilation on high resolution screens. This also enables you to control the color, size, shading, etc. through CSS. The simple interface makes it really easy to select the specific icons that you want and compile them into a set. Because Fontello is free, you can visit http://fontello.com and get started right away. Interested in seeing how WebDrive can enhance your web development experience? WebDrive is a product of South River Technologies, Inc.